Smartphones have been around for a few years now. Almost everyone nowadays owns a smartphone so it’s not surprising to see that people are starting to love it for the wide range of apps that it provides. 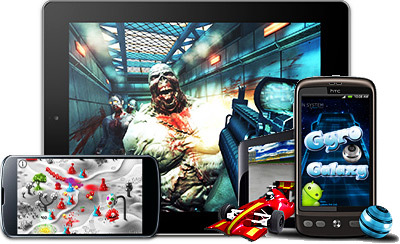 Another aspect of smartphones that is definitely on the rise is mobile gaming. Mobile gaming has become an interesting topic when talking about smartphones. The operating system that runs through these smartphones allows you to be able to play games that have amazing graphics and quality. The emergence of mobile gaming has been highly documented, thanks to the popularity of games such as Angry Birds and Plants VS Zombies. In fact, these mobile games made its way to other console platforms such as the PC and PSP because of its popularity! People use their smartphones to combat boredom. Instead of carrying around a PSP and spending a lot of money buying new games, smartphones proved to be a much efficient alternative when it comes to entertainment. If you want to play games, then all you have to do is download the app and you’re on your way for a fun-filled day with your phone. The convenience that mobile gaming provides is unmatched by any other console. You can literally play anytime and anywhere. How about playing Angry Birds or your favourite card game Bingo Ladbrokes from your Android phone even when you are on the move. Wherever you choose to play, you can surely have a nice good laugh and fun with your friends who probably has a smartphone and the same app as you do. You see a lot of people posting some of the “high scores” that they get via Facebook or Twitter. That’s how mobile gaming is; it involves social media participation as well. Athletes, celebrities, and even political figures are known to be fond of mobile gaming. You see a lot of celebrities tweeting about their score in Angry Birds or Temple Run. This is because mobile gaming provides something different for each and every one. You can play this minute and tweet about it the next minute. Having just one device or gadget for performing a lot of tasks such as texting, calling, social media, internet, and gaming is definitely an awesome experience. This is one of the primary reasons why mobile gaming is on the rise. Mobile gaming is still in its early stages, to be honest. In a few years, we can expect it to grow and evolve into an even bigger and better entertainment source.